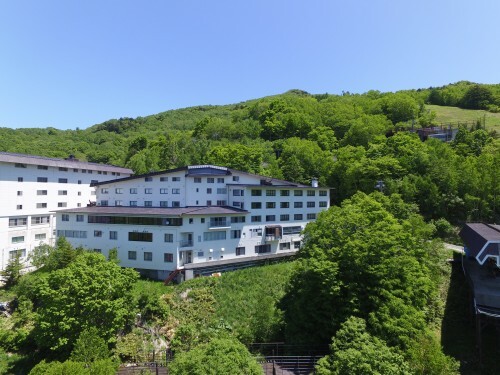 Hotel Higashidate in Shiga Kogen is famous for its beautiful view over the mountains of Shiga. 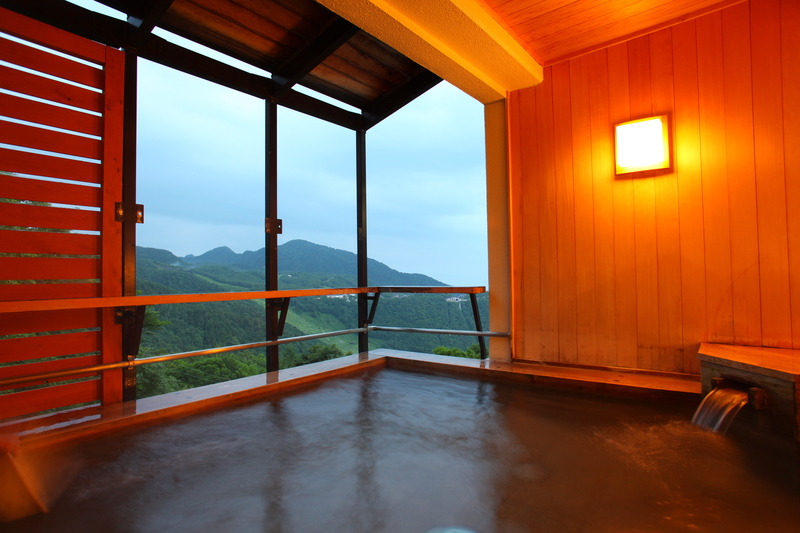 You can find the hot spring hotel directly in front of the Higashidate gondola. 6 of the hotels rooms come with attached outdoor hot spring. 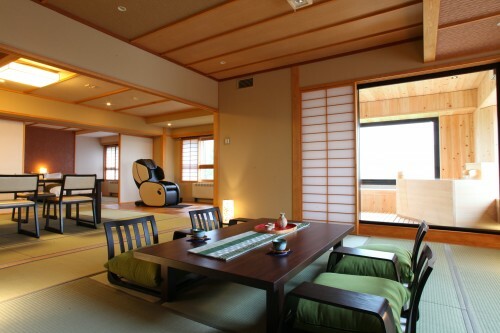 All rooms are clean and nicely designed, with WiFi for the entire hotel. You can rent skis and snowboards and get straight to sliding over the great snow of Higashidate. The food at the hotel is mostly Japanese. Take the bus heading for Shiga Kogen and get off at the Hoppo Onsen bus stop. At the bus stop the hotel will come and pick you up and transport you to the hotel (limited to the ski season - Dec until March).